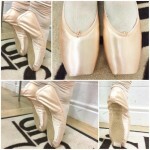 Pointe Shoe Fitting Hertfordshire - EXPERIENCED POINTE SHOE FITTER! I am a highly experienced pointe shoe fitter and official Grishko stockist. I am able to travel to you in person to fit pointe shoes. Either at your home or your dance school or wherever you may be! I provide a very thorough fitting service. No time slot! 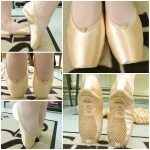 I like to spend however long it takes finding the perfect pointe shoes for a dancer. 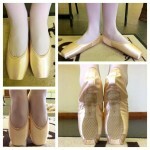 I can also help with custom order pointe shoes. I have fitted many dance schools who are returning customers and whom love the thorough pointe shoe fitting I provide and the knowledge I have too. Pointe shoe sewing and darning services are also available and I am also happy to teach both students and parents how to sew and prepare their pointe shoes and how to break pointe shoes in. Maybe you are having issues with your current pointe shoes or perhaps you have an injury or reocurring blisters? I love to problem solve and get dancers into the correct shoe for them so they no longer have to feel pain!